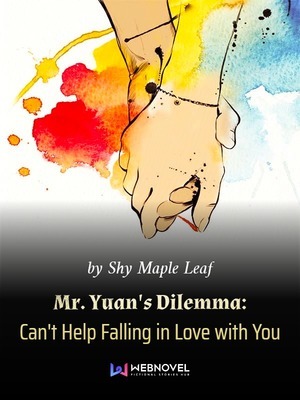 After years of longing, Mu Chenyan was finally going to marry the man of her dreams — Yuan Xuan. However, on her wedding day, the tragic death of Shu Qinger, her well-known romantic competitor led to Mu Chenyan’s prison sentence. The question remains — who killed Shu Qinger? Who are the people on her side, and those who are on the devil’s? A love the mystery of this story. I can't wait why Yuan Xuan ended up prisoning Mu Chenyan and how he tried to protect her but failed. All previous reviews were slightly harsh. It's the kind of story that has a build-up and I admit that the beginning is not pretty. But it really does get better (until chapter 58 that is, I don't know about the chapters after). I also quite like the leads are lovey dovey on the surface but silently fighting a cold war in their hearts. I will definitly stay tuned for the chapters! I gave it a chance as I wanted to know the reason behind ML's incomprehensible decision to imprison FL but 1/3 into the story nothing has been properly explained for, yet I already feel like vomiting blood at the drama. ML is a yandere and a bloody annoying one too. I truly think ML is the worst kind of 'lover' ever- utterly selfish and self entitled. I question his IQ too for his methods are appallingly dumb. He may inwardly 'care' for FL but outwardly he is always... more>> dishonest. Never clearing things up with FL, leaving her in the dark and sending her on a rollercoaster ride of hurt and betrayal. Always wants to validate his love by forcing himself on her physically... uh wtf? So much wrong in this story. Being with this ML, FL never feels understood, love or assurance. I want FL to pack up her bags and leave this possessive jerk behind. If you love to torture yourself then maybe this story is for you but it's 拜拜, adios for me.